Viraj is keen on championing the Government of India’s mission of ‘Make in India’ with his pioneering vision of ‘Design in India’ through Kalyani Studio. Finding the need to infuse creativity and design into high-strength engineering solutions is what spurred Viraj Kalyani to launch his entrepreneurial venture- Kalyani Studio. Viraj Kalyani, the executive director of Kalyani Forge (KFL), and nephew to Baba Kalyani, chairman and managing director of Bharat Forge has a keen understanding of manufacturing and the forging business. Considering himself a disrupter in the engineering solutions space, Viraj is keen on championing the Government of India’s mission of ‘Make in India’ with his pioneering vision of ‘Design in India’ through Kalyani Studio. Kalyani Studio believes in the latent power of the physical strength of products which can be unlocked through better design and engineering to improve performance and cost. High strength products are present everywhere and require a high level of performance. To a large extent, these are under-the-hood products and applications that withstand tremendously challenging physical conditions like forces, motion, temperature and time. Kalyani Studio is therefore building a new ecosystem and category of high-strength engineering and design to cater to OEMs across all industries like railway, aerospace, automotive, agro-tech, construction equipment. The driven, new age leader is clear that the next wave of growth has to come from design which in his opinion is the next logical progression for the sector. Mastering the art of building a company from scratch and scaling it in a sustainable fashion came but naturally to the young entrepreneur who has had engineering, design thinking and manufacturing in his blood and wants to bring new vigour to the engineering, research & development (ER&D) industry. Having honed his skills on the shop floor at Kalyani Forge, Viraj was keen that he wanted to power up Original Equipment Manufacturers (OEMs) with engineering solutions and go beyond manufacturing capabilities. 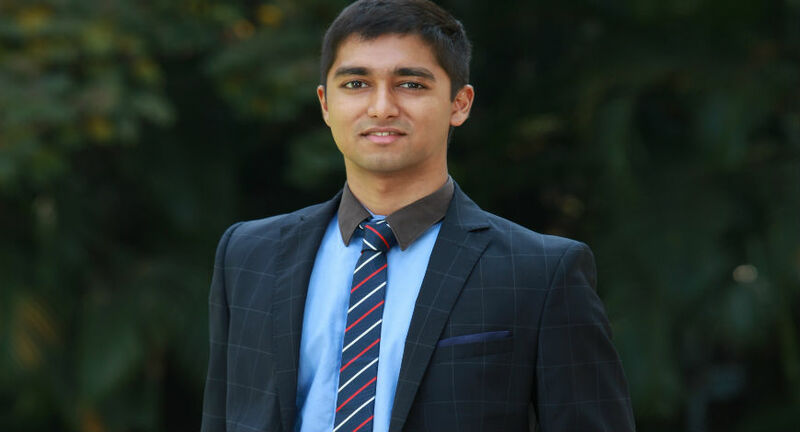 A graduate from the University of Pennsylvania, Viraj has successfully completed the Jerome Fisher Program in Management and Technology, a rigorous and selective dual-degree program, with a Bachelor of Science in Economics (Finance) at the Wharton School, and a Bachelor of Science in Engineering (Mechanical) at the School of Engineering and Applied Science. Offering new-age services for key industrial sectors, Kalyani Studio is all set to make India self-reliant in the fields of technology development in high-strength applications with service suites of Product Design, Engineering and Analysis, Design for Manufacturing and Technical Publication. In its next phase of growth, the company will expand its one-stop-shop offering to include prototyping and testing.